Audio Note UK turntables are designed and built according to a core set of insights gleaned from many year of experimentation and experience into what delivers musicality. Originally based on the award-winning Dunlop Systemdek IIX, the TT-One and TT-Two turntables have a fully floating three point, level-adjustable suspended sub-chassis that isolates the platter and arm from the outer chassis, motor, shelf and support. The platter is machined from a single piece of Acrylic and the sub-platter from Delrin. The TT-Two is a two motor version of the TT-One. The dual AC motors mounted on opposite sides of the spindle are designed to increase torque and drive, thus producing greater speed stability. Audio Note match every pair of motors to ensure they perform in the same way. With the Deluxe versions of the TT-One and TT-Two turntables, both the platter and motors are selected for tolerance. Their plinths are an upgrade from the standard plinths in that they are made from the same materials and in the same factory as Audio Note’s loudspeaker cabinets. The Deluxe models’ dedicated circuit board (two circuit boards in the case of the TT-Two) has internal switching for direct, simple connection to the external TT-PSU power supply via the pre-installed socket at the rear. The TT-1 and TT-2 models offer exceptional performance, but even this can be improved upon with the addition of the dedicated External Power Supply Unit. The TT-PSU is only compatible with the Deluxe TT-1 and TT-2, though the standard models can be retro-fitted by an AN authorised technician. Audio Note UK has concentrated a great deal of time and energy on developing a set of core fundamentals within the new TT3 PSU, in doing so delivering sheer musicality, believability and immediacy. offers an excellent level of musical engagement without compromise of the component quality. 0.5W Tantalum Resistors and Audio Note Electrolytic capacitors are used throughout. The special CODE, analogue modules and output stages are all coded, modelled and designed in-house. features improved local power supply regulation for the signal generator, improvements to the clock line and the output stage offering great improvements in refinement, tonal density, palette and definition over the power supply 1.
is a unique product in every respect, achieving the best sonic results. A superior level of control is achieved by using a specifically designed analogue computer, unique analogue oscillators and fully discrete component design, from start to finish. The discrete component output stage offers far more freedom to achieve a perfect balance both electronically and sonically achieving optimal damping and energy transfer. When Audio Note decided to develop a new range of budget to mid priced tonearms to replace their long lived and loved ARM-One, Two and Three they had high expectations for the new design: they exceeded those expectations with the MkII models. The MkII arms are manufactured in a state-of-the-art machining facility in Austria, and every single piece is custom designed and manufactured by Audio Note for Audio Note. 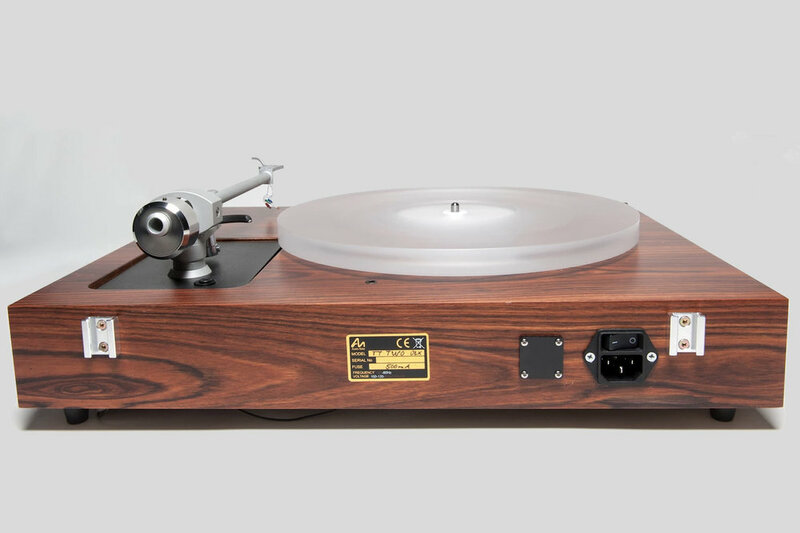 The essential design, which accommodates not only Audio Note turntables but also any turntable cut for the classic single hole ‘Rega’ mounting, took over a year of painstaking prototyping, testing, redesigning and revisions to perfect. Audio Note’s own Io models, the MkII arms allow the cartridge to track superbly, minimising noise. Bias adjustment is achieved via the classic ‘falling weight’ method, which AN have found to be the most reliable method, and the easiest to adjust. Rather than the usual ‘ball racer’ style of bearings, a rarely seen ‘captured unipivot’ arrangement is used, which provides significantly superior performance. Improving on the original mounting system design, Audio Note introduced a method of adjusting the arm height via a threaded collar and locking nut, allowing the stylus rake angle to be precisely adjusted. Audio Note UK currently offer a range of 3 Moving Magnet Cartridges (the IQ range) and 4 Moving Coil Cartridges (the IO range). Developed by Audio Note and manufactured by Goldring, 1he IQ Moving Magnet range of cartridges is built with premium quality components and offers exceptional tracking, dynamic range and longevity. As early as in 1978, Mr. Kondo of The Audio Note Company, Japan, introduced his IO cartridge design. The revolutionary nature of the design runs contrary to most accepted design criteria. The result is a small range of moving coil cartridges, which are second to none in dynamic range, tonal balance, separation, timbral reproduction, and lack of colouration and surface noise. mass production and as a result are not in-expensive. They require a tonearm of very substantial rigidity, and must be combined with a matching transformer, in order to achieve the best possible linearity and dynamic signal transfer, without which it seems pointless to own cartridges of this quality. All IO cartridges are now hand-built by Audio Note UK to exacting standards and are made to order. After extensive research Audio Note found the optimal magnetic circuit to be electromagnetically generated. This, however, requires a separate DC power supply and is very costly to implement. Therefore, only a cartridge producing the absolute ultimate in performance could employ such a system… and the IO Limited was born. Rather than the Alnico magnets found in the other IO models, the IO Ltd is unique in it’s use of field coils, which necessitate the power supply in order to generate a magnetic field, and which can be rewired into most tonearms or run along the outside of the arm tube. 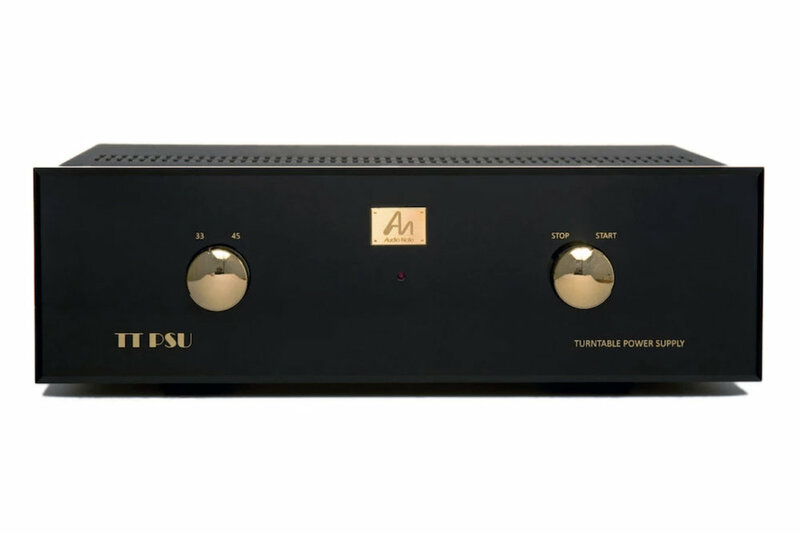 The Audio Note UK range of moving coil phono step up transformers are rightfully acclaimed for their supreme build quality and incredible sonic performance. Construction features a number of alternative materials for the transformers, depending on the model, but the entire range uses copper chassis for the very best performance. Models can be specified in various alternatives to suit virtually any cartridge. They are passive devices, designed to convert the output of your Moving Coil (MC) cartridge to a higher voltage, low current signal of sufficient strength to allow a Moving Magnet (MM) phono stage to amplify it to a suitable level. The internal transformers used in the step up transformers are manufactured by Audio Note UK exclusively, use the very best core materials and winding technology available at the price, and are housed in mu-metal screening canisters to minimise noise and interference. Find out more on the Audio Note UK website.